Toe-may-toe, Toe-mah-toe, This is It. I Mean It! | Food It Yourself! Toe-may-toe, Toe-mah-toe, This is It. I Mean It! So, today was supposed to be about my potato harvest. Here’s what I got for potatoes. Small potatoes, with my little foot. So not an absolute bust, but last year we got almost 20 pounds, so I was certainly disappointed. 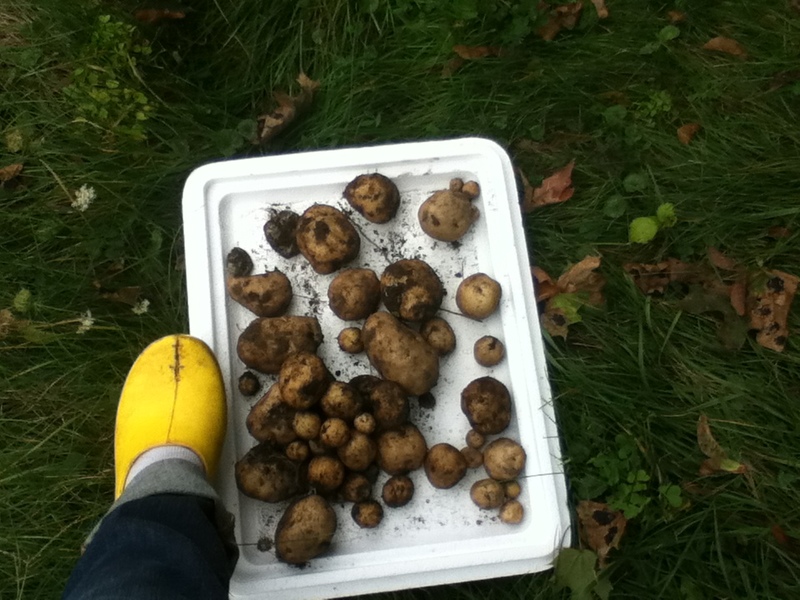 Also, that is not enough potatoes to blog about, in my opinion. Here they are- the last tomatoes I shall harvest until summer 2015. I mean it this time. No more! All was not lost, though. 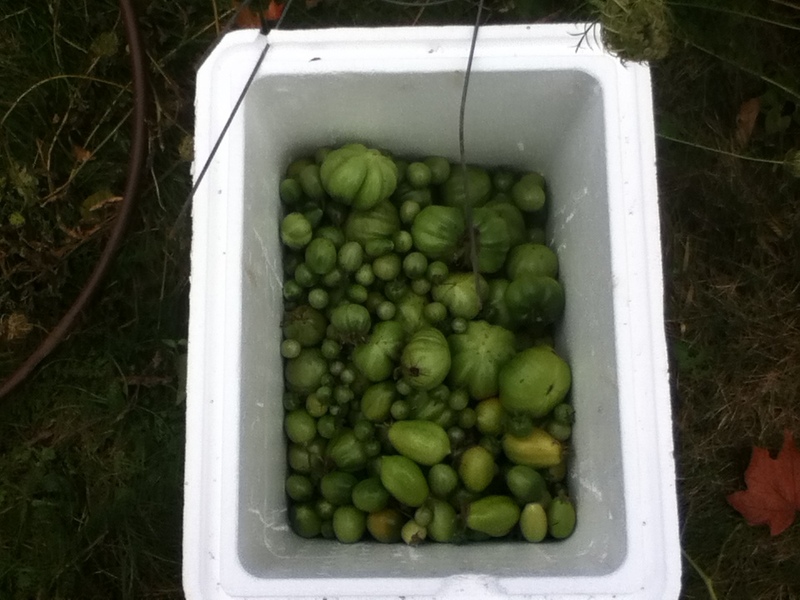 I was able to harvest just shy of 15 pounds of green…wait for it…tomatoes. I thought I was done with tomatoes for 2014, but evidently I was wrong. Thankfully, there are some pretty cool things a DIYeter can make with green tomatoes. I made mince pie filling. My recipe was based on this one. I changed it up a little, only because I have no intention of canning it. Because we all know that canning recipes must never be changed. I smooshed up 8 quarts of the tomatoes. I started with a knife, but realized it was faster to use my hands. 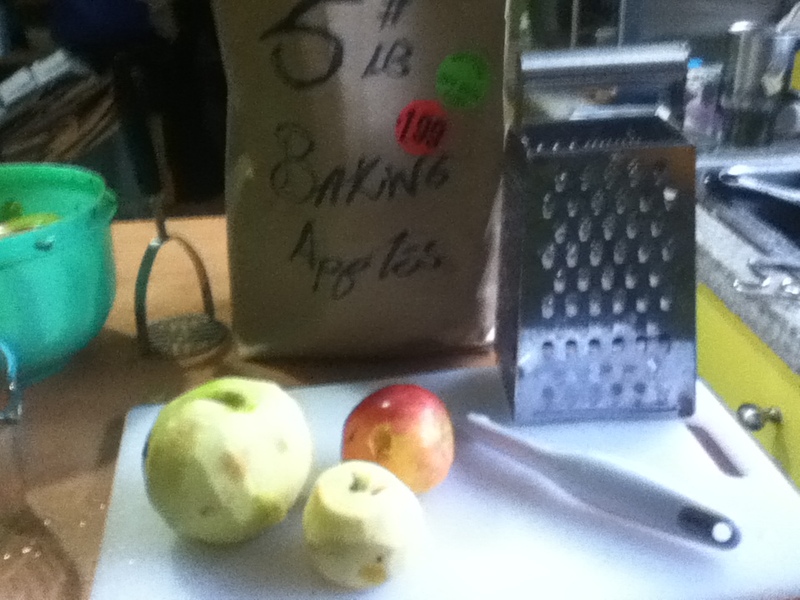 Then I added 5 pounds of apples, peeled and grated. Yes, I bought the bargain bag of apples. It was a good idea as I got a good mix of flavors and textures. 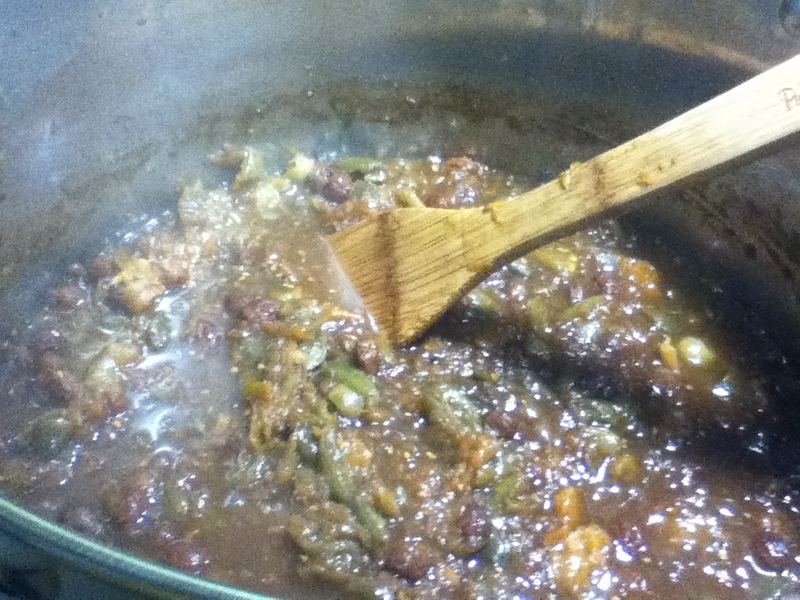 The blend of sweet and tart, firm and soft apples gave the mince a deep complexity. Next, oranges, lemons, a whole lot of raisins, and brown sugar. Finally, some very fall-like spices: cinnamon, allspice, and clove. Also, I added just a little salt. If they ever develop the scratch-and-sniff blog, I’ll repost this. The smell is just amazing. And here it is a few hours later, ugly but delicious. Once it cools, I’ll freeze it for a winter of pies and other tasty treats.